Fitbit today announced a collection of all-new products and services, centering upon the company's first smartwatch, the Fitbit Ionic, along with a new subscription coaching service, Fitbit Coach. The Fitbit Ionic includes improved GPS and heart rate tracking, is water resistant up to 50 meters, supports contactless payments, smartphone notifications, on-board music, and more. Like past Fitbit devices, the Fitbit Ionic includes a variety of fitness-focused features for users to take advantage of, including a "Run Detect" mode that starts workout tracking when the smartwatch notices the user is running. When exercising outside, users can also leave their smartphone behind and track their running data solely using the Fitbit Ionic. In terms of the new water resistance, there's also a swim workout to track laps and calories burned in a pool. 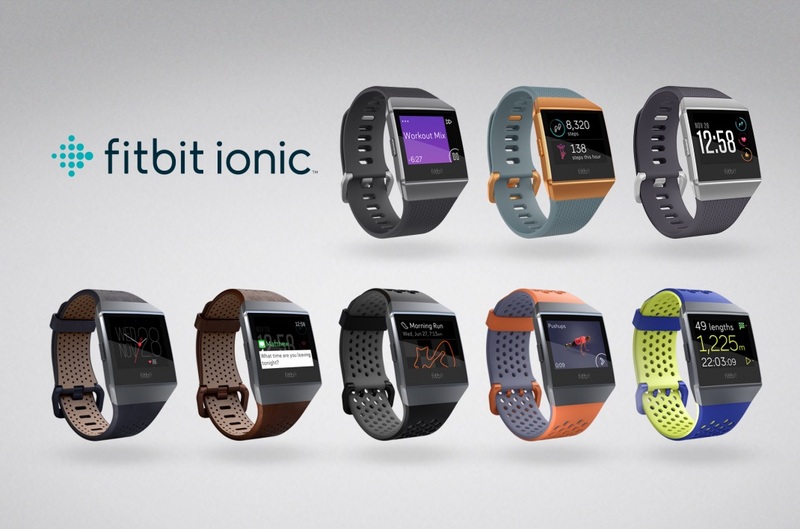 All of the Fitbit Ionic's enhanced sensor-tracking features are fueled by the new relative SpO2 sensor, which can estimate blood oxygen levels and "opens the potential" for tracking even more health metrics. Fitbit said that, in the future, this will include sleep apnea. The smartwatch's new display provides up to 1,000 nits of brightness and is protected by a scratch proof Corning Gorilla Glass 3 touchscreen. Fitbit Ionic users will be able to pay at any retail store that supports contactless payments thanks to a new "Fitbit Pay" feature. The company said that over the coming months it will introduce support for American Express cards, as well as Mastercard and Visa credit/debit cards that have been issued from ANZ, Banco Santander, Bank of America, Capital One, HSBC, KBC Bank Ireland, OCBC Bank, Royal Bank of Canada, UOB and US Bank. Fitbit Pay will be supported in ten markets globally, with more countries and banks rolling out in the future. Users will be able to get four full days of charge on their Fitbit Ionic, but GPS or music listening will limit the smartwatch's charge to just about ten hours. When using the device, users will also be able to access the new App Gallery, allowing them to select apps and watch faces to customize their Fitbit Ionic. Major partner apps available at launch include Pandora, Starbucks, Strava, and AccuWeather, and app support will be continuously expanded thanks to a new Fitbit Studio SDK launching for developers in September. The on-board music storage can hold up to 300 songs on 2.5 GB, and Fitbit has simultaneously announced a new pair of Bluetooth headphones so users can take advantage of music listening on the new smartwatch. Called the Fitbit Flyer Wireless Fitness Headphones, the sweatproof headphones have in-line controls for playback and smartphone interactions, customizable ear tips, multiple sound settings, and six hours of playback. 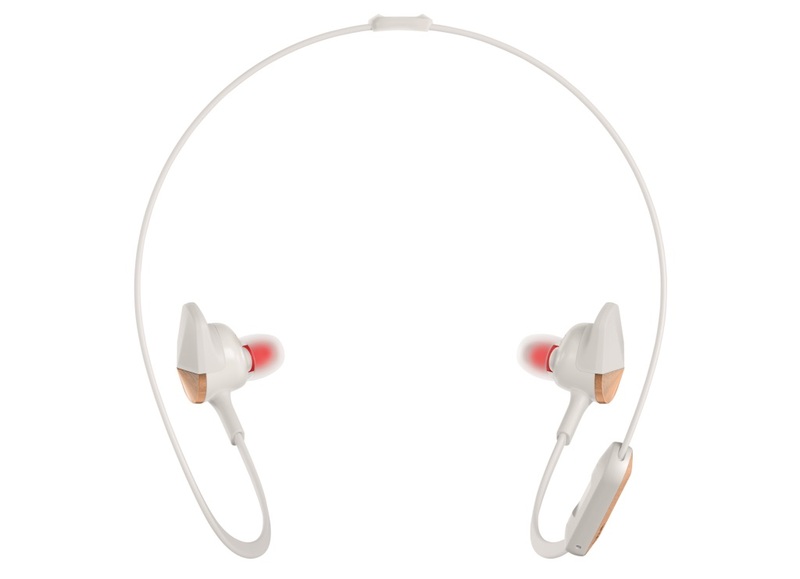 The Fitbit Flyer Headphones can be pre-ordered today for $129.95. The new Fitbit Coach iOS app will connect with the Fitbit Ionic to provide premium workout training at $7.99/month or $39.99/year. The company said that this training includes personalized workout videos, which adapt to each user's activity data gathered from the Fitbit Ionic's various sensors. Guided Health Programs include a six-week beginner's running course and a four-week crash course on reducing sugar in food consumption, with more fitness, wellness, and even sleep-focused programs launching soon. The Fitbit Ionic is available for pre-order today on Fitbit.com for $299.95, and will launch for pre-order on select online retailers tomorrow and in stores this October. The device will debut in three color combinations: silver gray tracker and clasp with blue gray band, smoke gray tracker and clasp with charcoal band, and burnt orange tracker and clasp with slate blue band. Optional accessories will be available, including a Sport Band ($29.95), Classic Band ($29.95), and Perforated Leather Band ($59.95). In addition to all of these announcements, Fitbit also unveiled a new smart scale called the Fitbit Aria 2. Within the Fitbit ecosystem, the Aria 2 talks with the company's other devices to provide a holistic view of a user's health, and Fitbit noted that the scale includes improved accuracy and design, easier set-up, and support for multiple users. The Fitbit Aria 2 is also available for pre-order today at a price of $129.95, and will launch alongside the other products this fall. 4 days battery life! If only an apple watch could get even half that! GPS + heart rate + BT music all in 1 device! They want to charge Apple Watch prices, with that design, and none of Apple's security? Fitbit can't even secure their Bluetooth connection and they expect someone to trust their credit cards with them? I have an Apple Watch series 1 and I'm happy with it but the Fitbit app is seriously amazing, with the new coaching service it is even more awesome. I should find an app in the AppStore that should do the same as Fitbit's app, right? No, it's been 6 months since I've started searching for an app like Fitbit and I couldn't find one, the closest one was Inlivo which wasn't bad but it was cluttered and confusing. If only Fitbit's app syncs to Apple Health, that would be the best of both world. Million dollars idea for Fitbit: Let me sync my Health app data to your app and charge me for it. Thanks. It seems nice at first. Then you get a little more in shape and start using strava, you discover that the fitbit integration to strava is just enough to be a check box, and not as complete as garmins. You won't get a suffer score, If you start bicycling and get a computer for the bike you won't be able to display your heart rate on your cyclometer, but rather have to look at your wrist at your fitbit. Overall, fitbit is completely marketed at the "I want to get in shape crowd" but once you actually get in shape, you'll pretty quickly realize that you need to get something else. Fitbit is hoping that you can convince everyone to use the fitbit app, but that failed, and they refuse to acknowledge that there will be more than one competitor, and as a consequence it looks like they are going to slowly become a niche brand. You seem adamant about defending the design of this Fitbit, And that's perfectly fine. But I don't need measurements to make a justification that the bezels are unnecessarily large or the reason why they put an ugly logo on the front of it, when They simply could have relocated it. Those are facts. This is not even comparable to the Apple Watch in terms of even resembling a watch. It just looks unconventional and resembles a basic fitness tracker at best. I'm not arguing anything about functionality, it's strictly aesthetics. Fitbit doesn't make a Watch based on attire, they make a Watch for fitness capabilities. The bezel casing. Watches are meant to be nuanced and discreet, you don't need to have the logo on the front to prove who's wearing it. Again, poor design choice. Period. When Apple designed the Apple Watch by Jony Ive and Marc Newson, they went for a more modern appeal with the rectangular face. Their goal was to market the Apple Watch as a device that was meant to be used for physical fitness when necessary, and they could easily be dressed up with something more professional. And it does just that. The Fitbit watch has no relevance to the Apple Watch in that category at all. Apple wanted something modern, yet could construed as a Watch aside from the fitness tracking. Your use of the word design sounds more relating to style and taste. I use design to describe a reason for why a button was placed in a certain spot, as it pertains to usability and function. And I know about Newson's work. But if you understand product design, it isn't a silo. It must work in harmony and language of their entire product line. And to be perfectly honest, unless you were in the internal brief, neither you or I know the full details and parameters of the project. Lastly, I'm not adamant about defending anything Fitbit. Unlike some, I just happen to have an open mind to ideas and like stuff other than just Apple. But hey, that's what forums should be about...cordial discussion and opinions. Wow, this is ugly as hell. Why does it matter... to you. You're use case isn't indicative of the larger market or the desires of others to not charge daily. There are plenty of use cases where the additional up time could be beneficial. I don't think this message was intended for me Stang. I thought you were yelling at me at first, then I realized this post must have been intended for someone else.